"If you missed it live...click the archive..."
Last night we kicked off the show with discussions ranging from a David Frost sighting to WHL players demanding a trade and who's back or not from NHL camps. Guests last night included a new NCAA Head Coach who already has a stellar reputation, one of our CHL media regulars looking at who is and isn't still at NHL camps, a look at the Phoenix Coyotes and a 2011 eligible prospect who'd be getting top-10 hype if he were a few inches taller. The hockey season is now here in the CHL with all 3 leagues underway. So it's time to bring back Top 5 Tuesday's. Today I will stick my neck out with some predictions for the current WHL season. Enjoy. A chance meeting at a rink last year led to Prince George Assistant General Manager and head scout Wade Klippenstein flying north to Whitehorse, Yukon this past weekend. While scouting for the Cougars last year, Klippenstein got chatting with a fellow who was involved with Team Yukon for the 2011 Canada Winter Games in Halifax this coming February. Once it was discovered that scouting hockey is what Klippenstein did for a living one thing lead to another and Klippenstein found himself on a plane north several months later. This past weekend the former Quebec Nordique draft pick helped evaluate hockey players that will represent their territory in Halifax. "It was a pleasure to be part of the selection process for Team Yukon, a truly unique experience that combined community and athletics. Their is nothing quite like northern hospitality" Klippenstein told TPS, and he should know. The Dauphin, Manitoba product spent 3 years as a player with the Alaska-Fairbanks Nanooks of the CCHA, and returned to the NCAA team in 2004 for another 3 year stint on the coaching staff. Klippenstein will no doubt be keeping an eye on some of the players he watched over the weekend, and the fine folks of Whitehorse will get another visit from the WHL this February when Vancouver and Kamloops play a regular season game in the Yukon capital as part of CBC's Hockey Day in Canada. Friday night the Red Deer Rebels convincingly beat the home town Edmonton Oil Kings to kick off the WHL season. It was also a statement game for 2011 draft prospect Ryan Nugent-Hopkins who dazzled scouts with his wicked fast release, sweet dangles and elusiveness. AJHL Showcase Won't Include College Hockey Inc. The Alberta Junior Hockey League's marquee event (or one of them this year) will not include a visit from College Hockey Inc.'s Director Paul Kelly after all. Although the former NHLPA executive and the league have discussed combining their efforts for the 3-day event (Sept 30th-Oct 2nd), and the extra media attention it would have garnered both groups, it won't be happening this year. But that's OK and it makes sense... let me explain. What to do with Tyler Pitlick? Where should Tyler Pitlick play this year? Edmonton? Oklahoma City? Medicine Hat? He could play in all 3 cities, even though he was just drafted this year. Because Pitlick played NCAA hockey last year with Minnesota State he could suit up in the AHL. 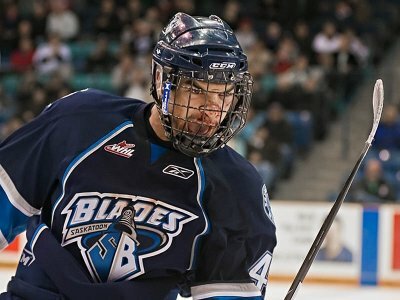 During the summer the Oilers 2nd round pick (31st overall) jumped ship to the Medicine Hat Tigers of the WHL, and that's where most expect him to play, but is that the best for his development? 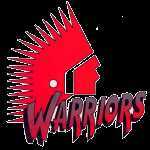 Just days after the Moose Jaw Warriors sent 20 year goaltender Jeff Bosch to the Kamloops Blazers, the Tribe is on the look out for another pipeman as 18 year old Brandon Glover has gone home to Victoria. Glover has reportedly asked for a trade as he didn't think the Warriors were going to give him the opportunity to be a number one goalie. After trading away Bosch, director of hockey operations Alan Millar brought in 20 year goaltender Thomas Heemskerk from Everett, which one would have to think set Glover off. Moose Jaw also has 17 year old Brandon Stone as an option, but he played less then 25 games in midget last year. Bad news for Kitchener and Portland? 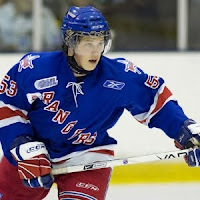 Both the New York Islanders and Carolina Hurricanes are making fans of the Kitchener Rangers and Portland Winter Hawks sweat today with news that they've inked their 2010 first round picks to entry level deals. Carolina put Jeff Skinner's name on a deal and the Islanders followed suit by signing Nino Niederreiter to a 3 year deal. 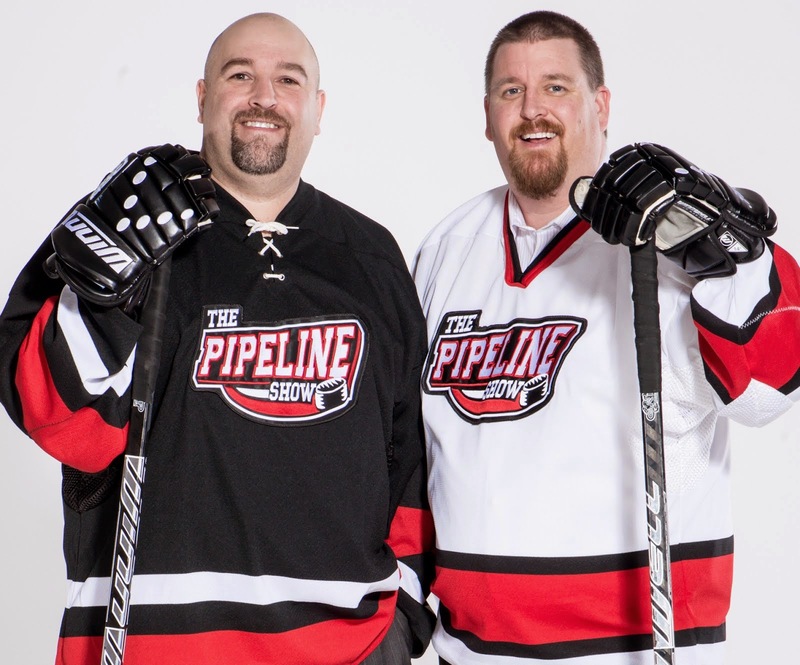 Here's a quick run down of tonight's Pipeline Show, which can be heard from 7-9 pm mst on the TEAM 1260 in Edmonton or online www.thepipelineshow.com. We'll kick things off with the head coach and GM of the Halifax Mooseheads Cam Russell. They have the top two penalty minute players and the top goal scorer so it should be an interesting year in Halifax. They also have a player who's being touted as a top 3 pick for 2012, we'll tell you who tonight. The Carolina Hurricanes will have some interesting decisions to make when the regular season rolls around. Do they keep this year's first rounder Jeff Skinner or send him back to Kitchener of the OHL? The Canes signed Skinner to his entry level deal today, does that signal his future? Do one of Zach Boychuk or Drayson Bowman make the BIG club? And where does Riley Nash fit in their plans? Carolina's director of amateur scouting Tony MacDonald will be our guest. Matt Nieto is a freshman for Boston University and is eligible for the 2011 NHL draft. The small skilled forward had a great couple of years for the US National development team and might be one to watch for this year's World Junior Championship. With the WHL season getting going later this week, we'll chat with Jordi Weidman of the Edmonton Oil Kings about upcoming events on and off the ice this season? Is the team where they want to be 4 years into the league? Has their demographic changed over time? These guests and lots to talk about tonight starting at 7 pm mst. Email any questions pipeup@theteam1260.com. Saturday morning we were joined by 4 more guests and talked about an amazing story out of Prince Albert. Guy wrote about EA NHL 2011 yesterday so check that out, but here's a recap of the rest of the show. You'll recall when College Hockey Inc. Director Paul Kelly was on our program back in May and he told us that negotiations were on with EA Sports to include NCAA hockey in their popular NHL game series. (If you don't, here is the link to that story). 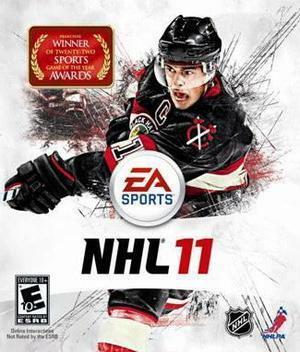 With the recent release of NHL 11, it's obvious that a NCAA component did not make it into the game. However, we had Andy Agostini from EA Sports on The Pipeline Show on Saturday morning (you do know that we've added a second live show each week on Saturday mornings right??) and we brought the subject up again with him. So will there be NCAA Hockey in NHL 12? Why isn't every CHL team Twittering? 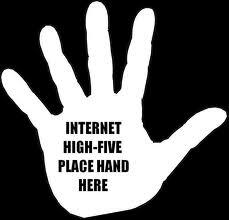 Whether you use Twitter or not, you have to admit it's a very valuable and free marketing tool for a sports team. Which is why I find it interesting that only half the QMJHL teams are using it. The numbers get better in the OHL and WHL, but it should be 100 per cent across the board in every league. The CHL is going to a uniform website system (although it hasn't been the smoothest transition) and they should make it a rule that each team has to have a twitter account to promote the product. Every league should be doing this in my opinion. Remember last month how Paul Kelly and College Hockey Inc. were mysteriously absent from the World Hockey Summit in Toronto? We had Mr. Kelly on the The Pipeline Show that week to discuss the matter. Well, the NCAA will get its time in the Ontario limelight after all as College Hockey Inc. has created the “NCAA Collegiate Hockey Summit” for this weekend. 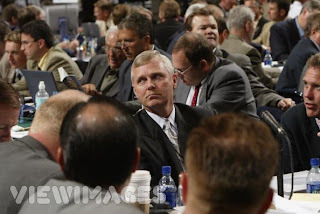 We recently spoke with North American Central Scouting head man Mark Seidel about 2011 NHL draft. Yes we are many months away, but here at TPS we never stop looking ahead to the future of the game. We wanted to talk to Mark about some key players to watch for this year, and while it seems like a 3 horse race, if Mark was picking today he does have a clear cut number one. Once again we're talking about September here, and a lot can change during the course of a season. With that said, here's who Mark likes right now. Hockey Canada has formally announced the hiring of Kevin Prendergast as the new Head Scout for the nation's U20, U18 and U17 programs. The long time scout and former Assistant GM of the Edmonton Oilers is on the job immediately as he heads south to the Calgary head office for meetings tomorrow. The position came open last month when Al Murray was hired by the Tampa Bay Lightning. The Tri-City Americans have announced a 4-year extension for General Manager Bob Tory. Tory has been at the helm of the Americans for the last decade and the team has been successful and competitive under his guidance. 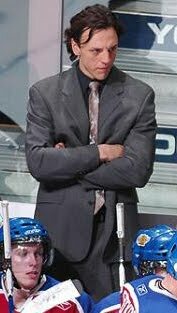 The Oklahoma City Oil Barons have rounded out their coaching staff by hiring former Edmonton Oil King assistant coach Rocky Thompson to do the same job in OK City. 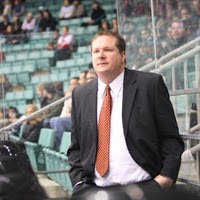 Thompson coached with the WHL team for 3 years before getting let go this past off season. 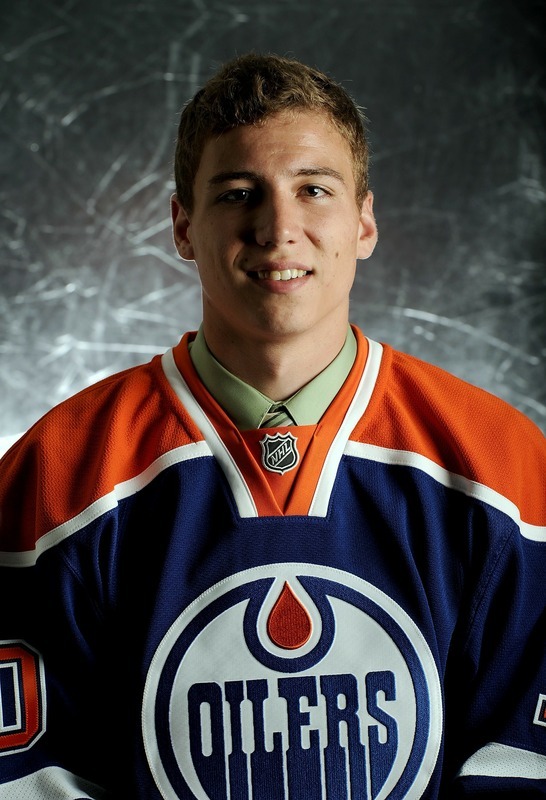 This will mark the 3rd time Thompson has been associated with the Oilers organization - they also own the WHL's Oil Kings - as he played for the Road Runners when the team operated their AHL franchise out of Edmonton in 2004. Thompson told me tonight that head coach Todd Nelson wants him down in Oklahoma City right away to start putting together a game plan. The Canadian Hockey League unveiled their new websites today, with every team coming under one umbrella...finally. In the past there were some terribly outdated sites that lacked information. Even the 3 different league sites (WHL, OHL, QMJHL) were miles apart when it came to consistency. All the details can be found here. Meanwhile Columbus has signed 2009 4th overall pick Ryan Johansen to an entry level contract. 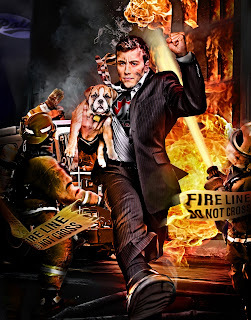 Aaron Portzline has the details here. I agree with Aaron that it's unlikely Johansen will stick with the Jackets this year, which is a relief to everyone in Portland where the centre will continue to develop in the WHL. 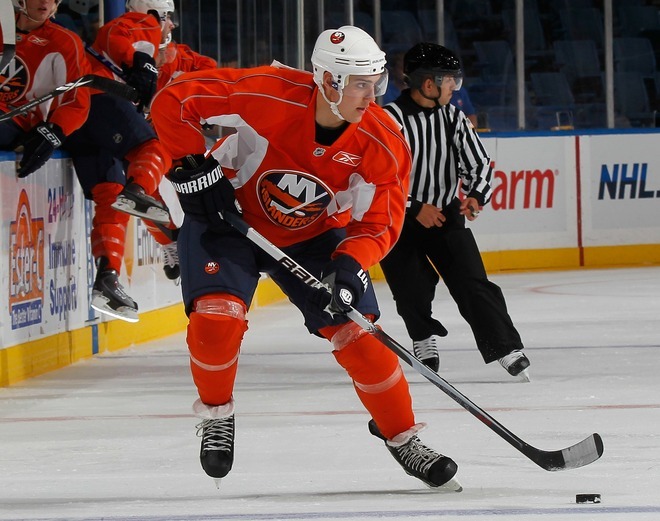 It sounds like the Islanders will keep Johansen's Winterhawk linemate Nino Neiderrieter with the big club this year, and if Johansen somehow sticks with CBJ it would decimate the Hawks high hopes this year. According to Rich Hammond Brayden Schenn has suffered a knee injury and the Wheat King captain will get undergo an MRI Thursday in Los Angeles. Brandon Wheat King Voice Bruce Luebeke the LA first round pick from 2009 left Brandon's training camp Tuesday. If you were listening to the program last night then you have already heard the big news but... The Pipeline Show can now be heard twice every week. The TEAM 1260 approached us and asked if we would consider taking on more air time and after several weeks of discussion and weighing different scenarios, TPS has laid claim to Saturday mornings from 9-11 (Edmonton time) starting this weekend. It sure was great to get back to the rink over the weekend. 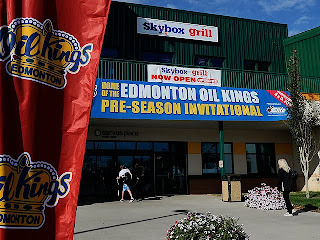 Not only did the Edmonton Oil Kings tournament provide onlookers with an opportunity to watch several high profile prospects, new Oiler properties and get a feel for how the local WHL is shaping up, but it also let me get back in face-to-face contact with the WHL community. And there was lots of talking going around between WHL executives and scouts as well as the plethora of NHL scouts who were in St. Alberta as well. 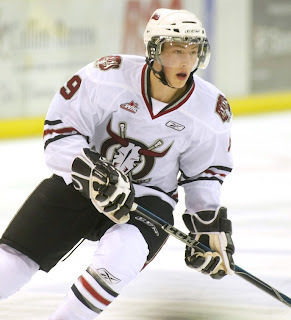 The rebuild in Prince George continues as today the Cougars acquired Charles Inglis from Saskatoon. The Blades get back a second round bantam pick in 2011. Inglis hasn't exactly lit it up in his two WHL seasons with just 30 goals in 137 games, however he did notch 19 last season in his draft year. Inglis wasn't selected but will attend the training camp of the Phoenix Coyotes shortly. The Winnipeg product has amassed penalty minute totals of 85 and 62 respectively. Cougars G.M Dallas Thompson had this to say about his new forward. Inglis might get a chance to skate alongside Brett Connolly, drafted 6th overall by Tampa last season. This coming Tuesday, September 7th, marks the first episode of The Pipeline Show's 6th season. Traditionally that means that we will have the player we think will be chosen 1st overall next June at the NHL draft, and that is the case once again this year. On top of unveiling who we believe will be taken 1st overall in 2011, we are really excited to make a major announcement concerning the future of our show. Just a quick note of congratulations to Shawn Mullin, the new play-by-play guy for the Swift Current Broncos. I've gotten to know Shawn a little bit over the last few years starting when he was still in OHL circles working around the Owen Sound Attack. From there he moved out to Trail BC where he became the voice of the Trail Smoke Eaters of the BCHL. Now it's on to the WHL and the Broncos. One note for GM Mark Lamb and everyone in Swift: Keep Mullin behind the microphone and don't consider him for a front office position. Dude was in my keeper fantasy league for 2 or 3 years and was continually fleeced in trades and was renowned for poor free agent signings. Fortunately for him, (and for you), he's a terrific play-by-play guy. 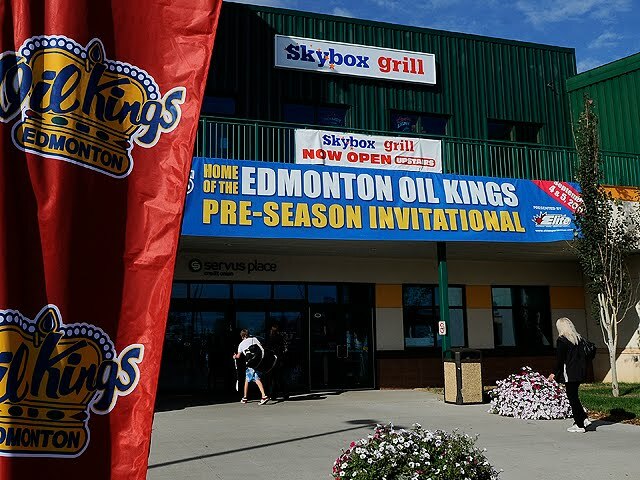 The Edmonton Oil Kings have chopped dramatically and are now down to a workable number of players as their WHL exhibition schedule draws near. 35 players remain in camp of which there are a few '95 born players who won't be with the team when the season starts. Here is a look at who remains and what battles for spots might be looming.